Got four of these for under 2$, i'm not sure how good these are in general since a lot of feit HID lamps are pretty mediocre. How many factories making MV lamps Chinese have? I suspect you could find lamps from the same production line in many different boxes under various names. Maybe it's the same factory that used to make Philips lamps using better quality components. They may use a bit cheaper components for making mediocre quality Feit lamps? Don't take me too seriously, I'm just speculating. I like the Feit BT shaped lamps as they are coated without a phosphor so have the color of a clear MV, but more diffused. They aren't good quality, but unique IMHO and inexpensive. 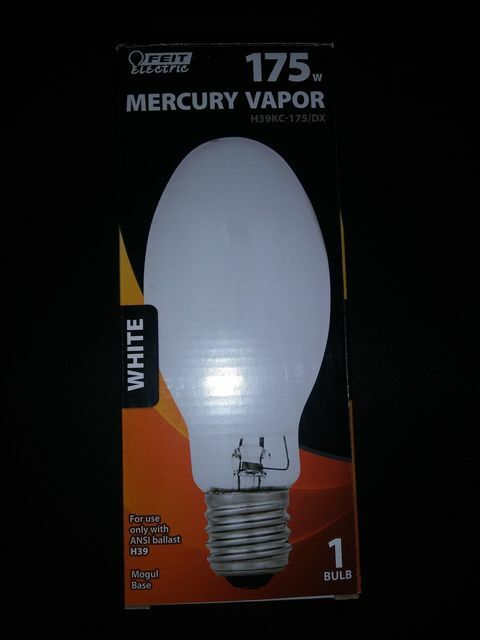 I tested one of these lamps and while it is a real /DX lamp, the phosphors are pretty weak compared to my GE and Sylvania /DX mercury vapor lamps.